All vacations come to an end and it was time to fly back home. 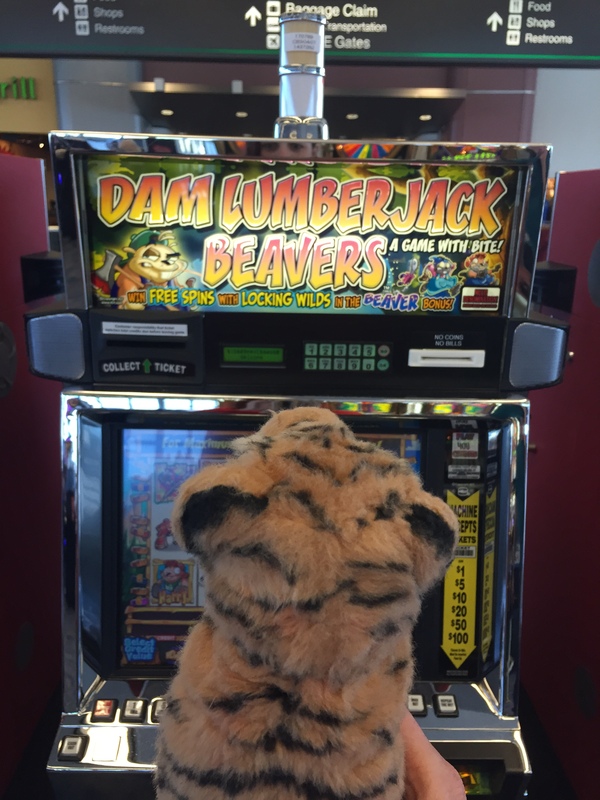 Koko saw a grownup game at the airport that made him laugh. 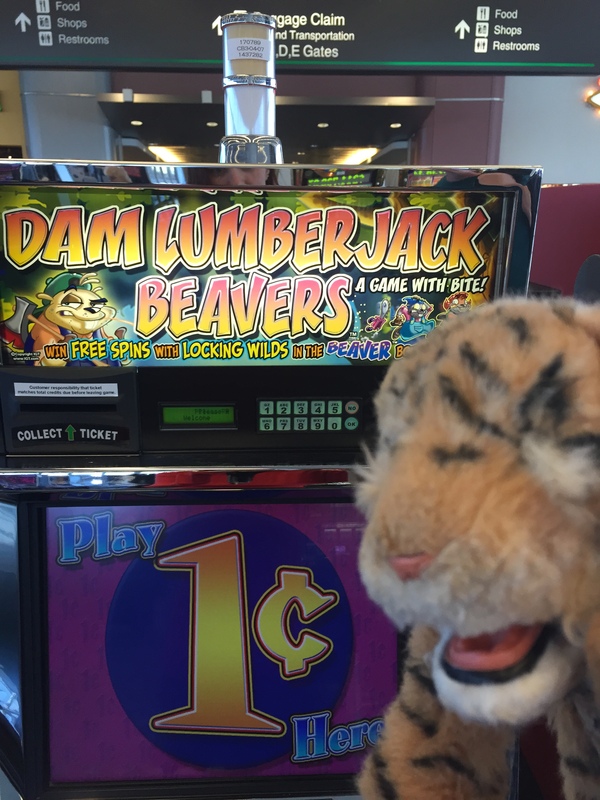 It was about beavers! Then he laughed so hard! 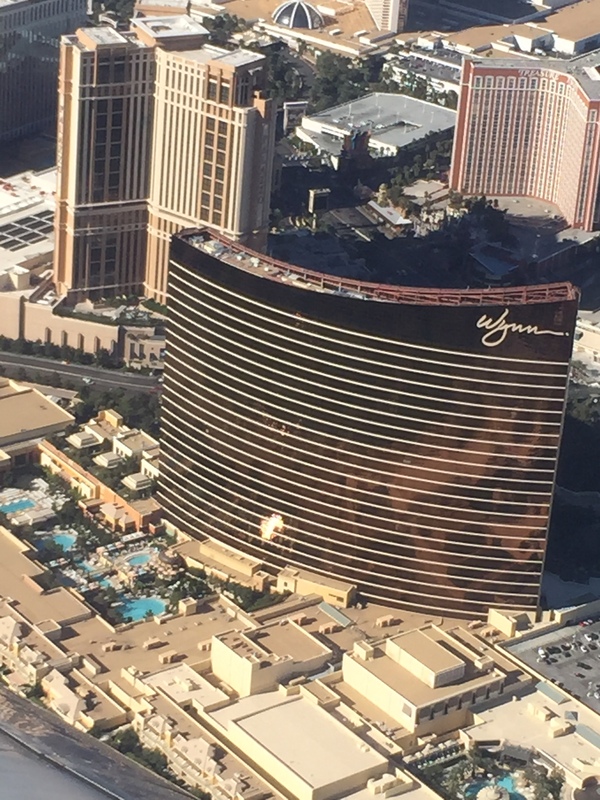 As mom, Don and Koko flew up and up in the airplane, they saw the Wynn Hotel where they went swimming. Isn’t it huge? The big pools look tiny from way up high, don’t they? Koko was really happy that the seats Don booked had lots of legroom (lots and lots of it). 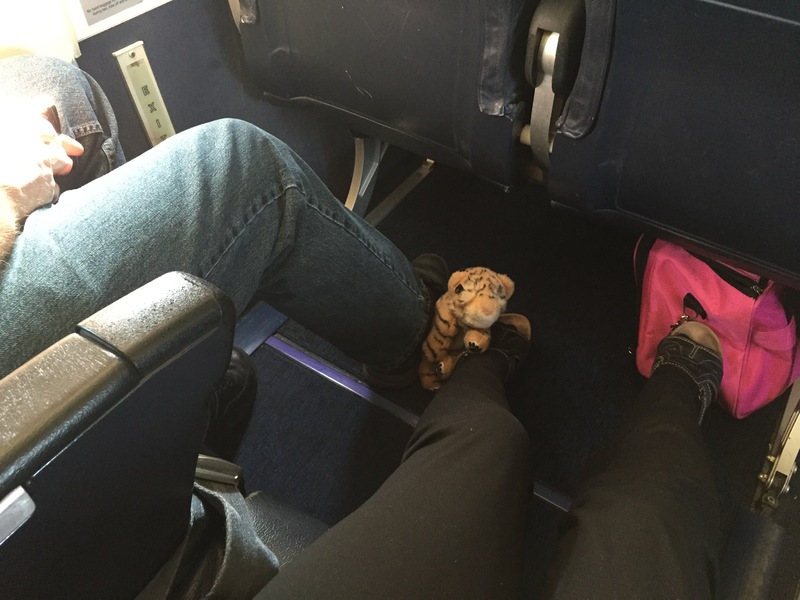 It was the purr-fect place to have a baby tiger nap on the way home from a fun-filled trip.